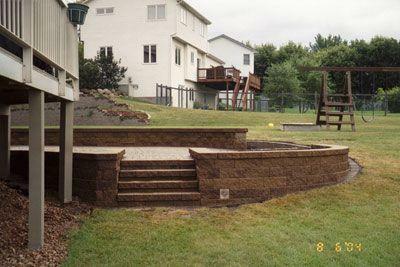 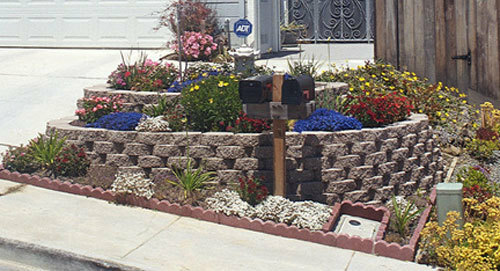 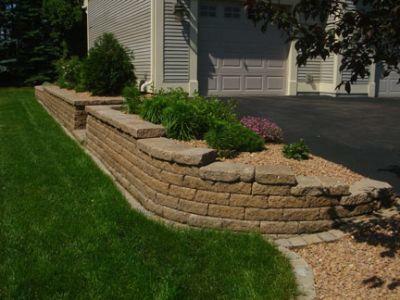 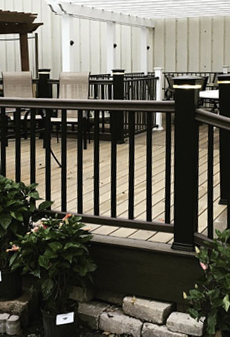 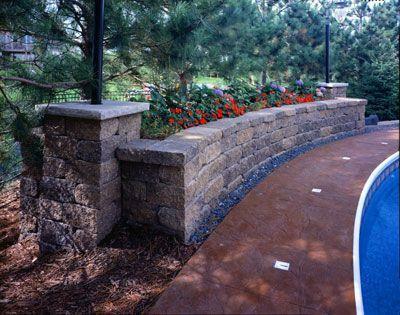 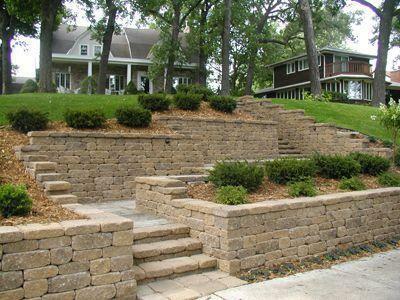 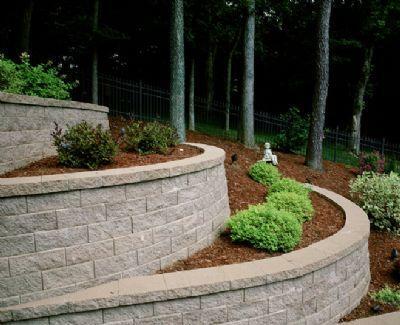 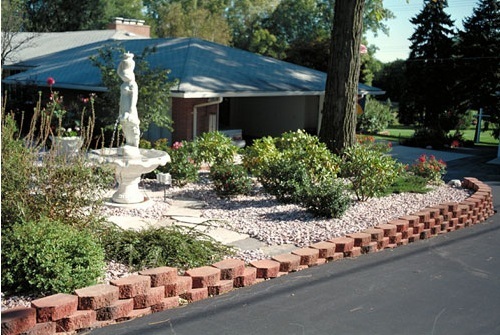 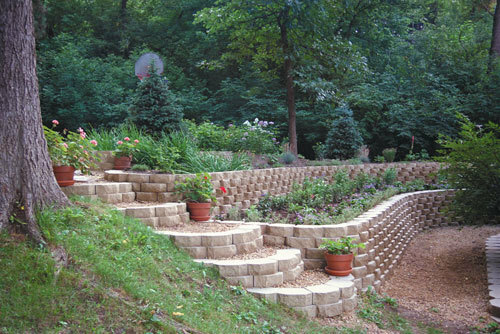 These durable and textured retaining wall units feature a unique pinning system that allows you to build secured curved retaining walls that match the contours of the landscape. 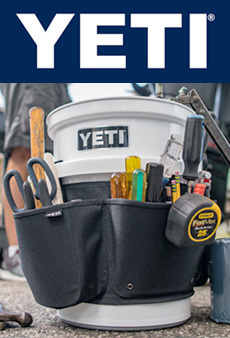 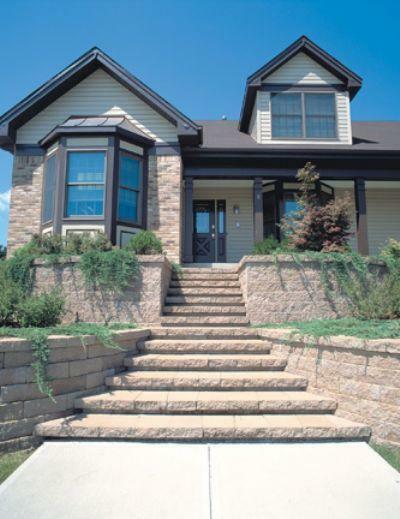 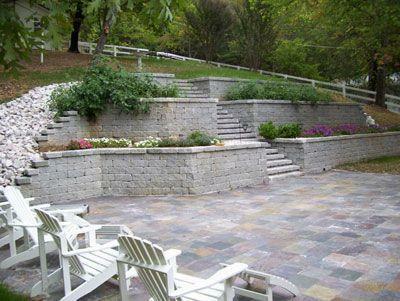 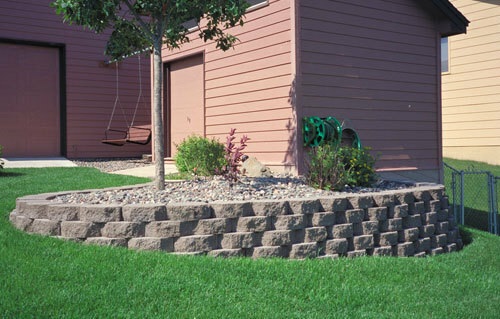 We also carry Versa-Lok Cap Units that are used along the top of the retaining wall. 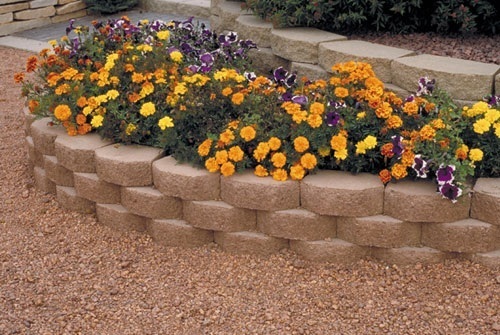 Versa-Lok Mosaic stones can be special ordered and are made up of four differently shaped units to create eye-catching wall designs. 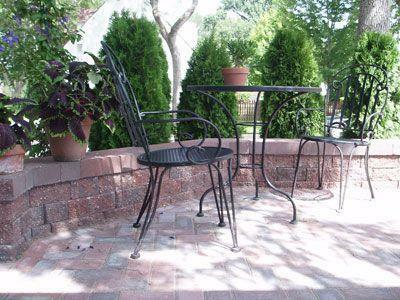 Weathered units are available by special order. 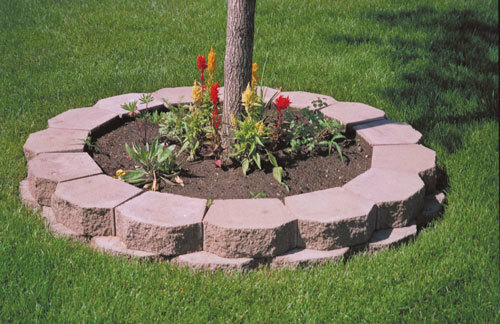 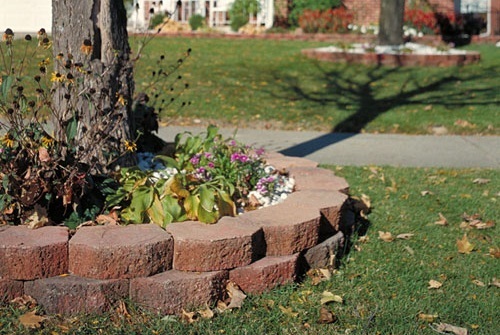 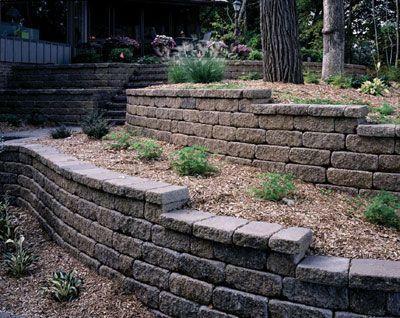 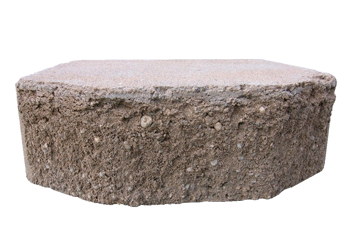 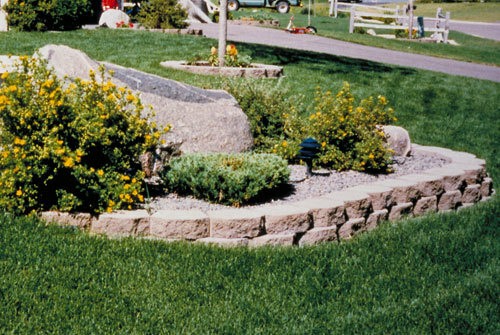 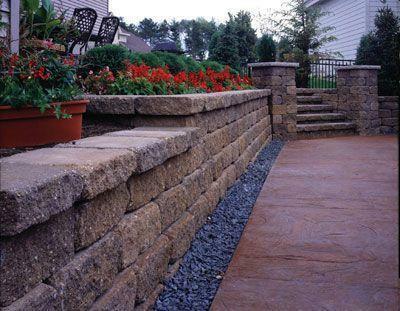 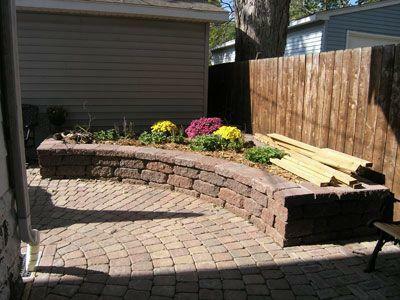 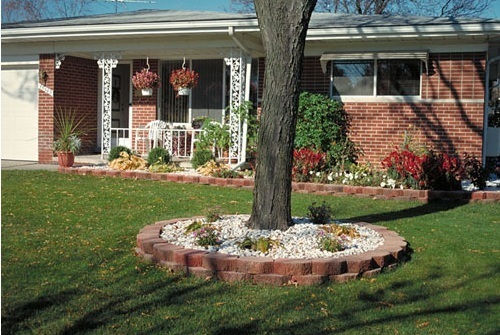 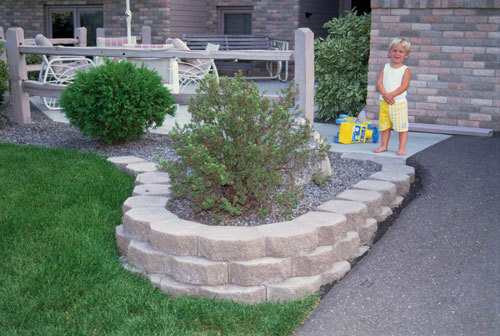 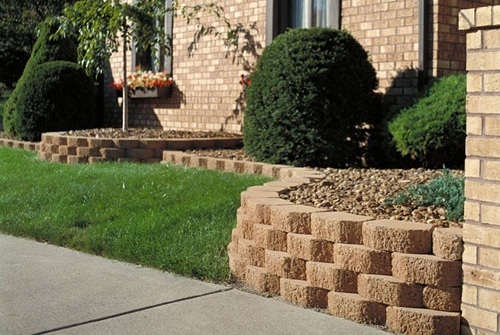 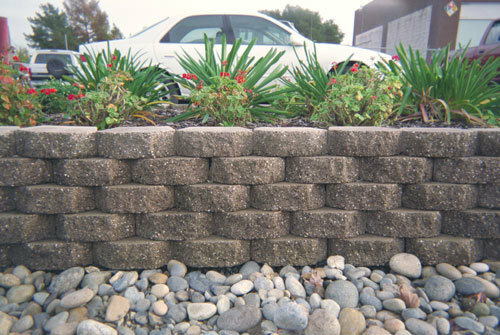 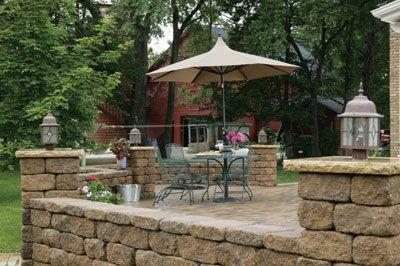 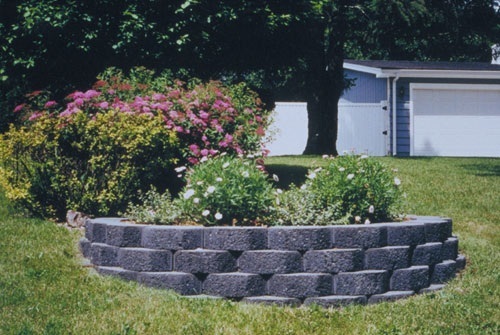 Keystone Garden Wall (in stock) utilize a rear-lip alignment method and are great for use in retaining walls (up to two feet), tree rings, raised gardens, driveway edging, and more. 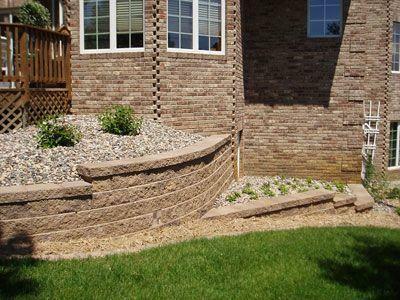 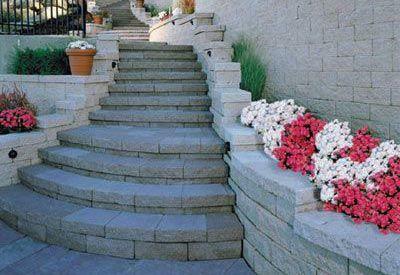 They can be built into straight, curved, or terraced walls. 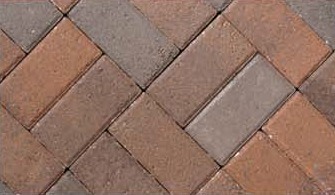 Select from 6 colors: Desert, Gray, Tan, Terra Cotta, Classic Red, and Slate. 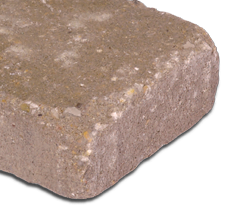 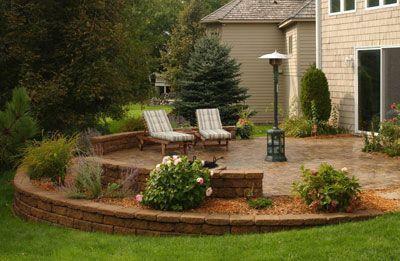 Stone size is 9" D x 4" H x 12" W.
Cobble Pavers (in stock) are an ideal stone for creating patio areas, walkways, and more. 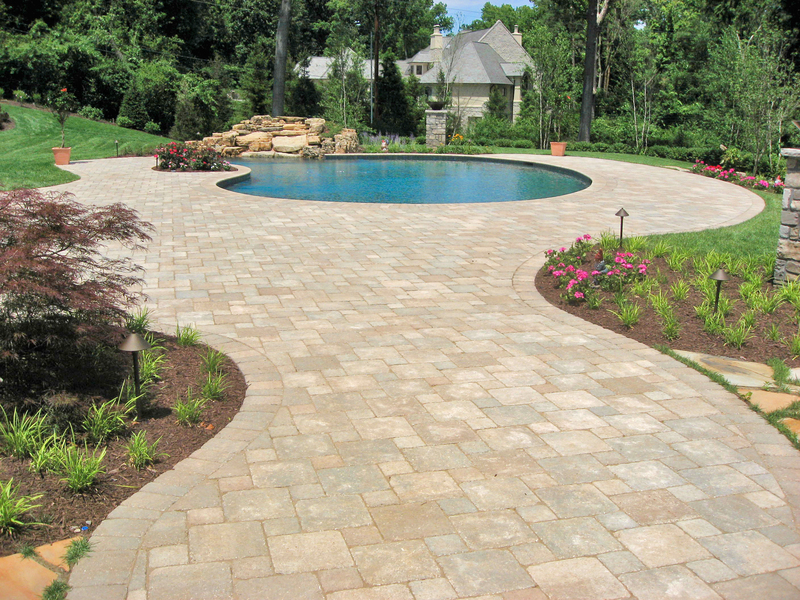 This versatile paver shape incorporates rounded corners and subtly pillowed top. 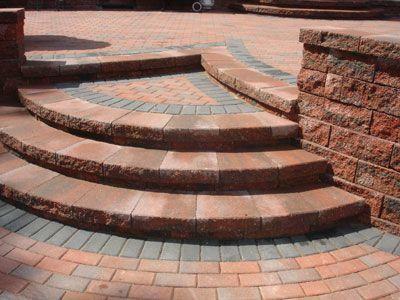 By using a combination of the two sizes, a variety of patterns is possible. 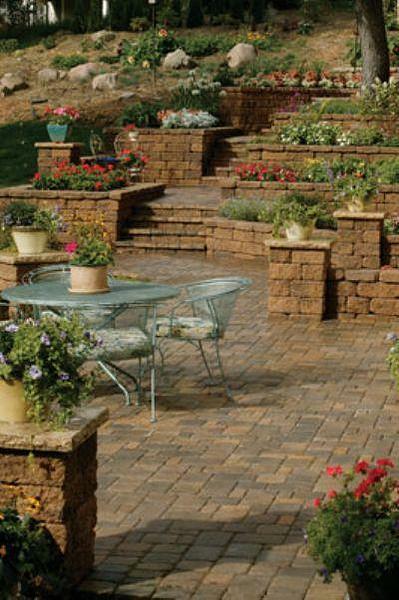 Used alone or paired together, you can't go wrong using these pavers in your outdoor getaway. 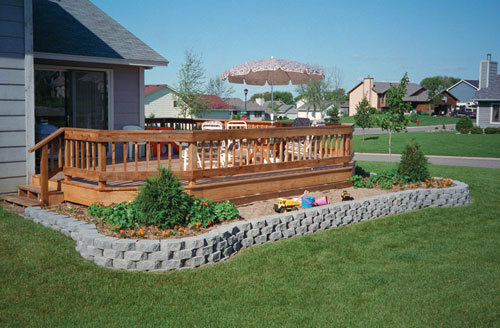 Select from two color blends: Timberwood (shown) or Autumn. 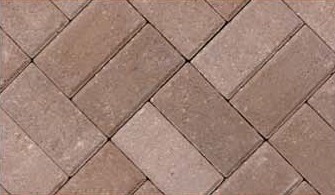 Pavers are available in two sizes, 6x9 (actual 2.375" x 5.8" x 8.8") and 6x6 (actual 2.375" x 5.8" x 5.8"). 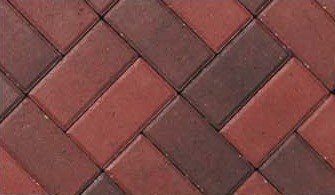 Holland Stone (in stock) is a versatile and durable paver that is often built into a visually-appealing interlocking pattern. 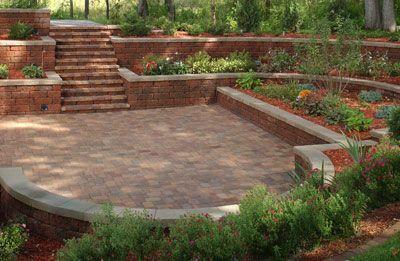 They have the renowned durability of interlocking paving stones, yet offer the old world charm of a simple brick shape in paving. 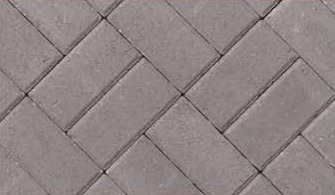 This simple rectangular stone can be applied in a number of fascinating patterns (like the popular herringbone pattern) to produce warm, luxurious textures. 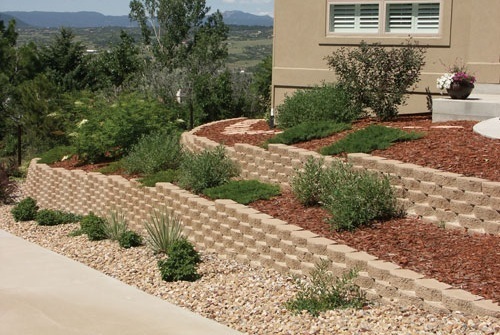 Mix these patterns with any of the available standard colors or combination of colors and you’ve got the potential for an architectural effect only your imagination can limit. 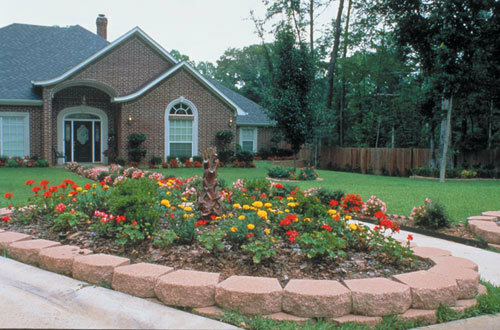 For a truly unique design, try mixing different colors together! 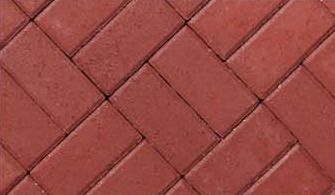 Select from five colors: Terra Cotta (shown), Red, Gray, Bethany, and Timberwood. 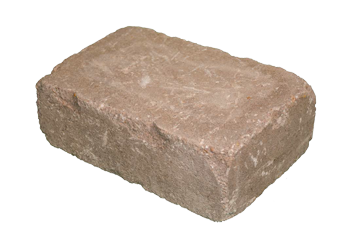 Stone size is 4" x 8" x 2.375". 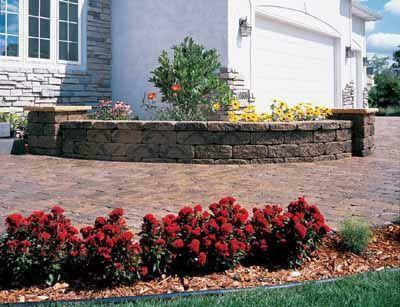 Ledge Rock (in stock) These handsome pavers' surface texture adds style without creating an uneven pavement. 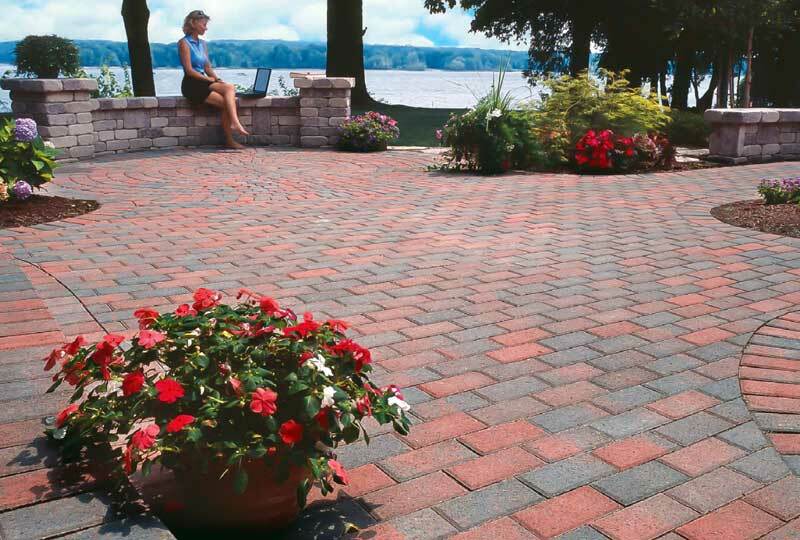 These tumbled pavers are available in four different sizes that can be used to create all sorts of patterns in patio designs. 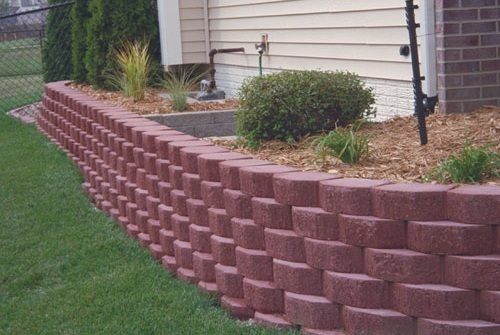 Available in Bethany color (shown). 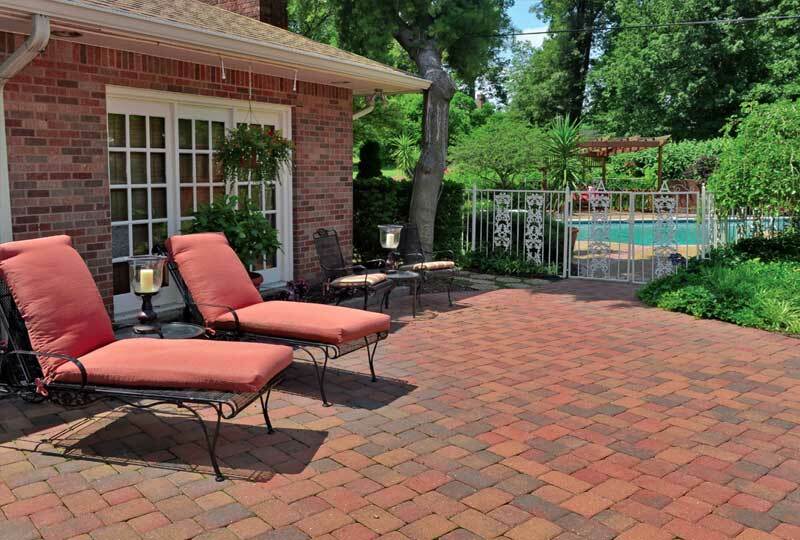 Pavers are available in four sizes: 6x6 (actual 2.36" x 5.9” x 5.9”), 6x9 (actual 3.15" x 5.9” x 8.9”), 6x12 (actual 3.15" x 5.9” x 11.8”), and 12x12 (actual 3.15" x 11.8” x 11.8”). 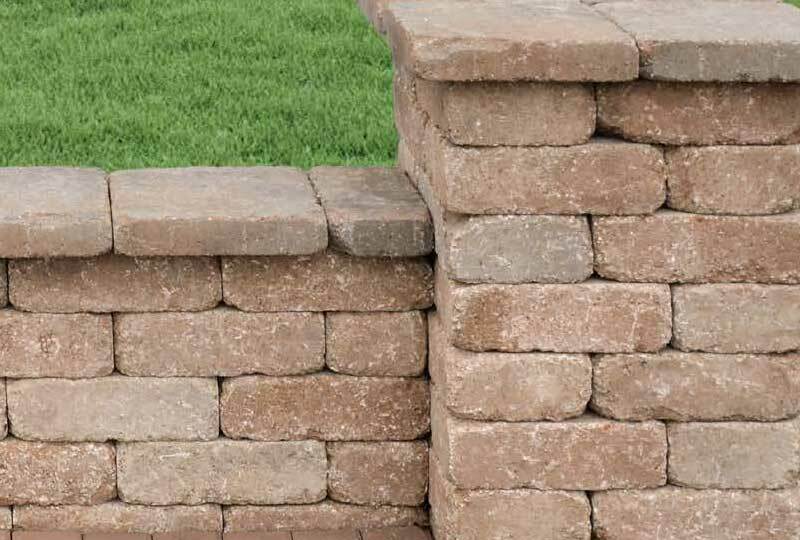 Euro Block (in stock) These compact and relatively lightweight stones have a weathered appearance that looks great in a variety of uses. 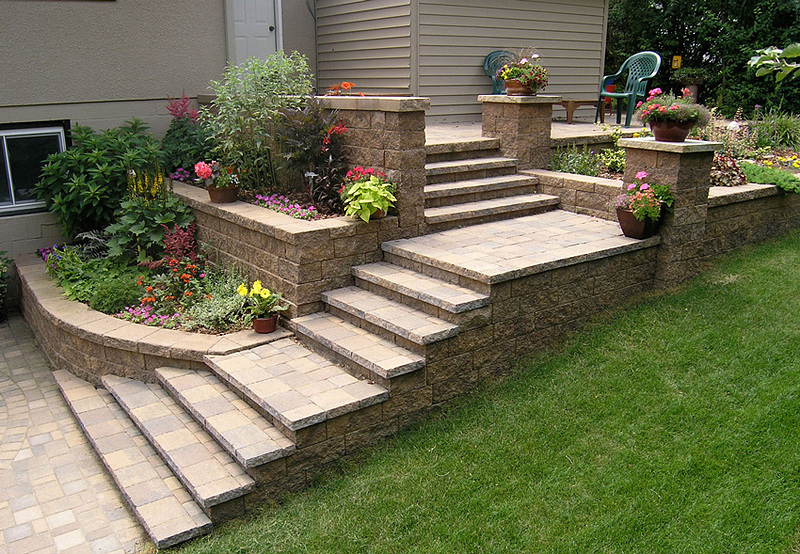 Its tumbled surface mimics the look of cut stone, allowing you to create elegant spaces with old European charm. 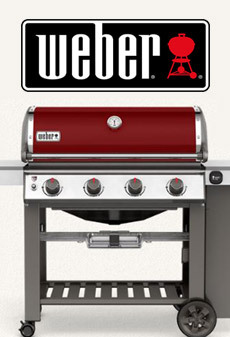 Available in two colors: Bethany (shown) and Charcoal. 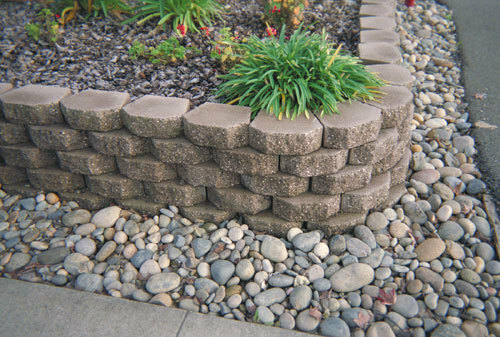 Stones are 4" x 8" x 12".